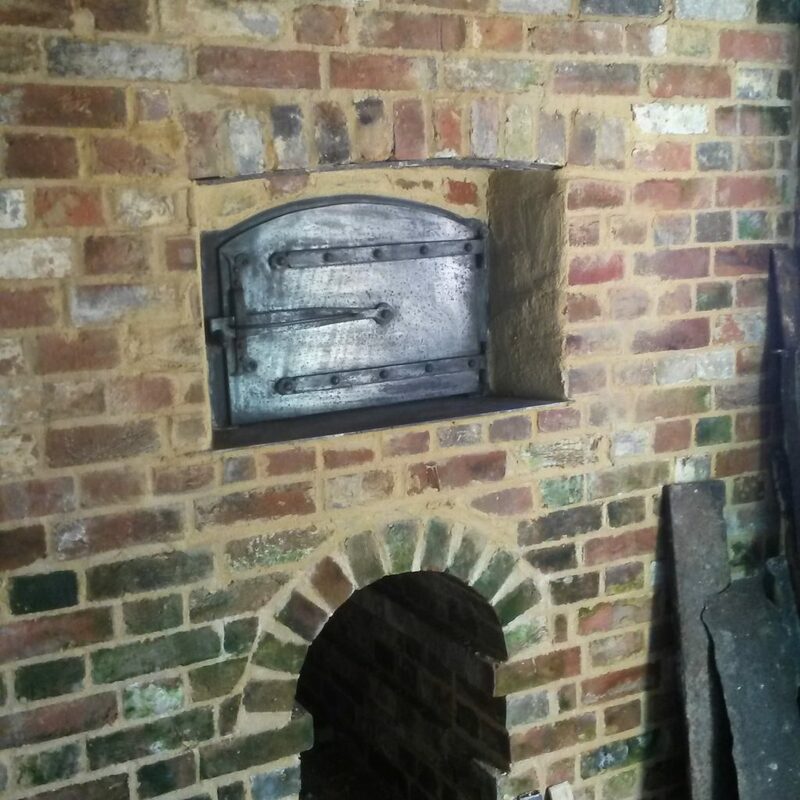 In March 2017, we were approached by the CEO of the Weald and Downland Living Museum after he had seen our bakery oven at Pugmill bakehouse, in the old Farnham Pottery in Wrecclesham. 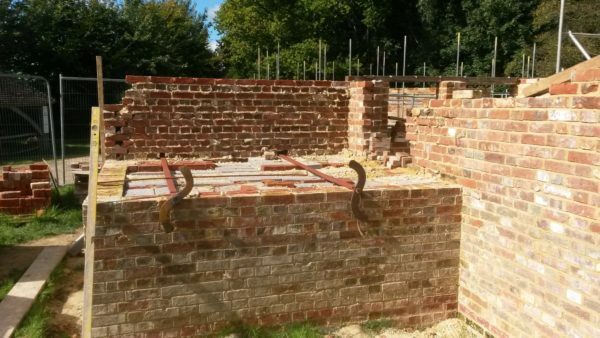 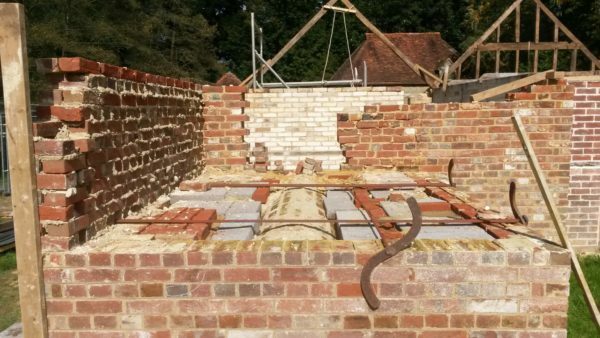 The weald and downland living museum carefully dismantles buildings of historic and architectural interest from the Sussex Weald and rebuilds them on site giving the visitors an opportunity to see how they would have looked in their prime. 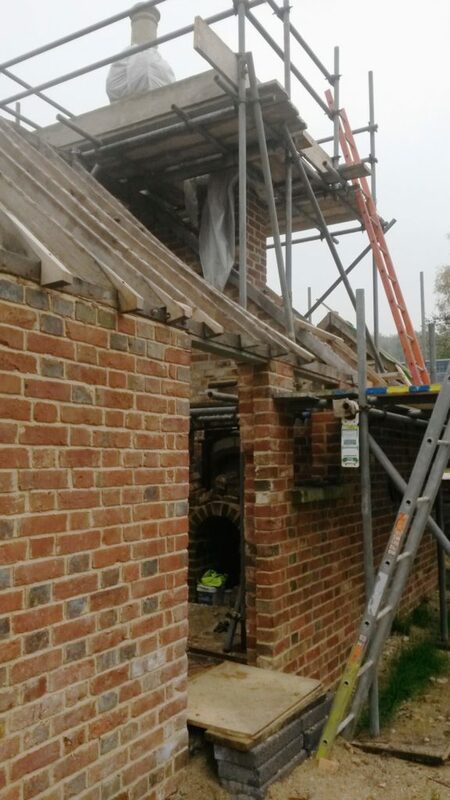 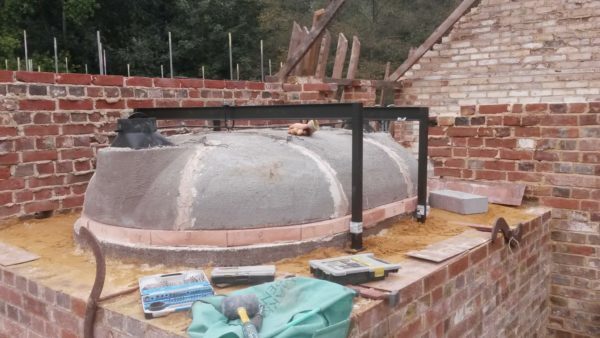 One of their current projects was a reconstruction of a 18thC building with a 19thC bakehouse attached and needed help in rebuilding the bakery oven. 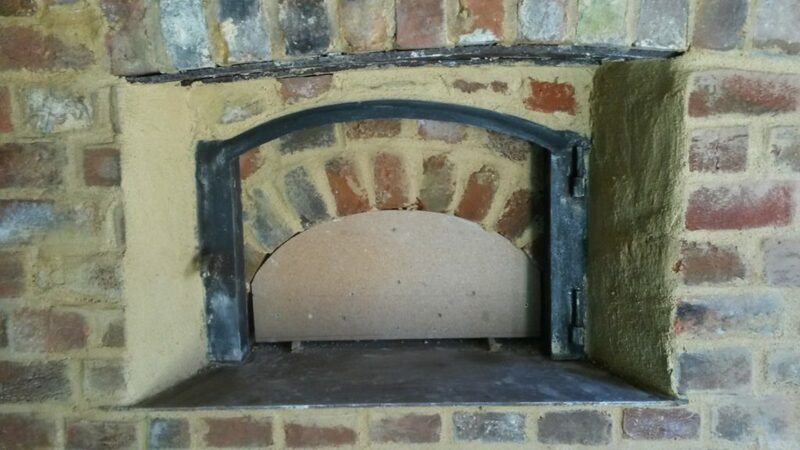 After lengthy discussions about how to go about it and prices raised for various combinations of build, the museum decided to opt for for a new oven that could be used for demonstration purposes and could be fired to produce bread from flour ground at the Lurgashall mill adjacent to the bakery. 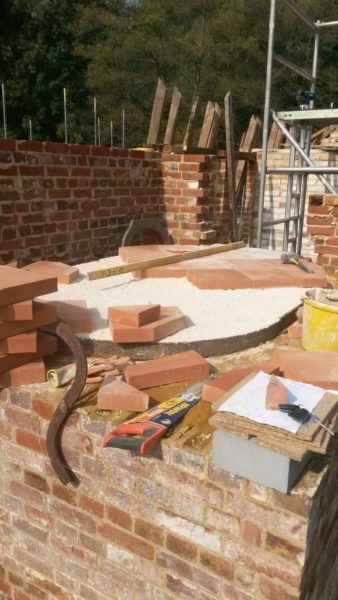 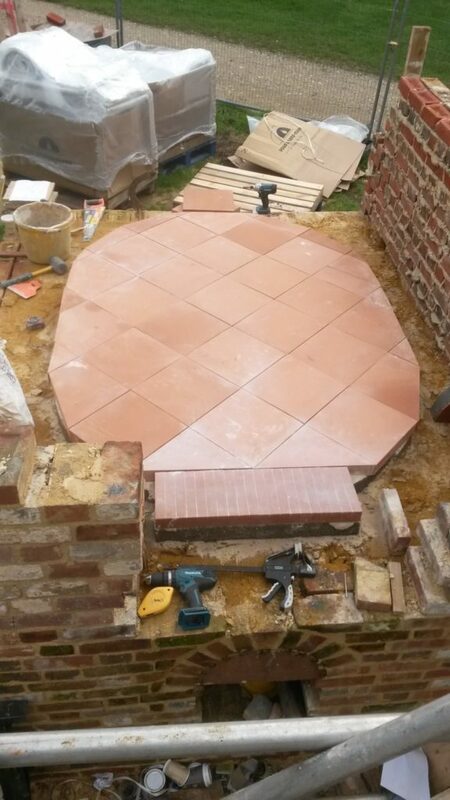 Looking at the time frame for the build, it was agreed that instead of rebuilding in new brickwork, the oven should be be able to be installed quickly but still retain the original size and shape of the original. 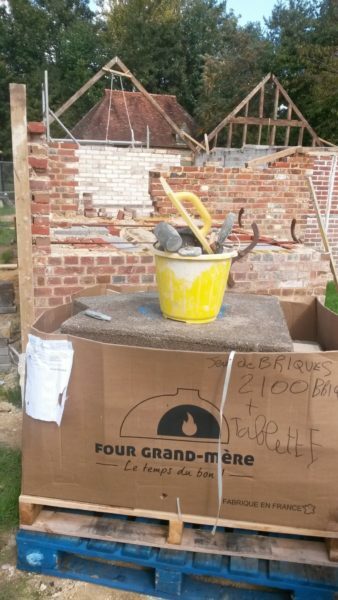 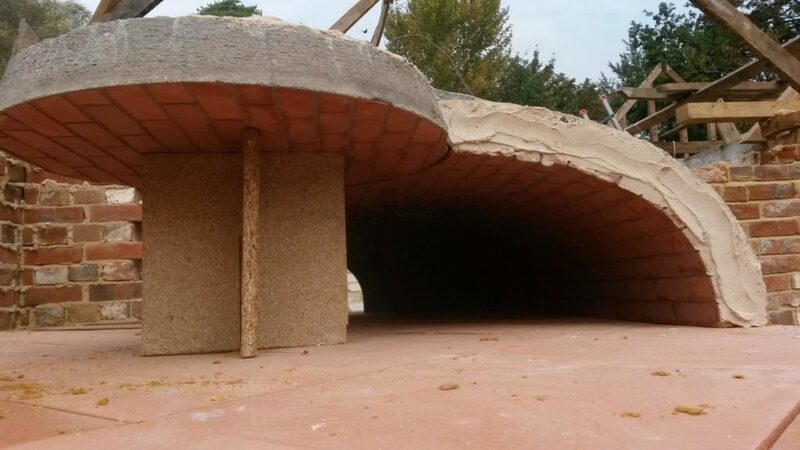 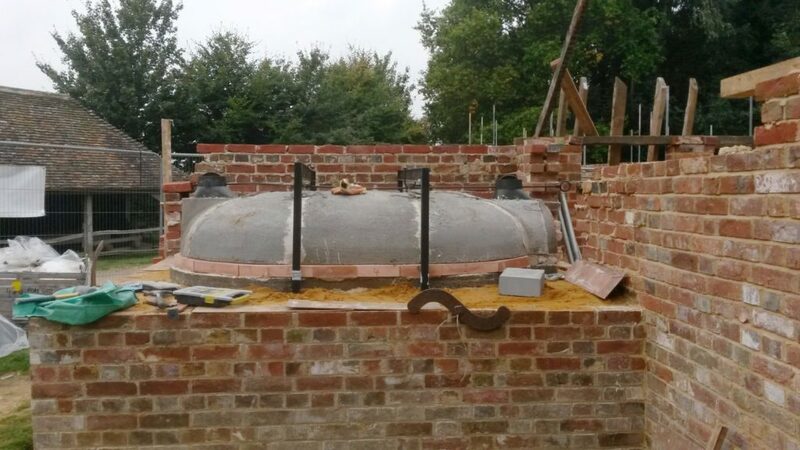 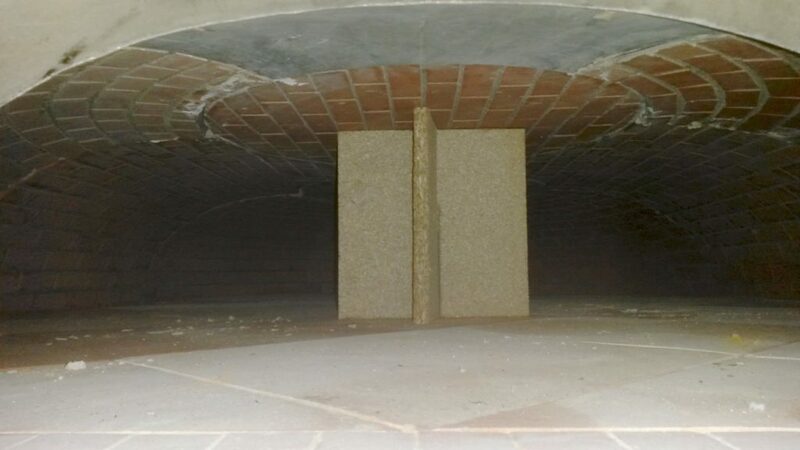 We specified a Four Grand-Mere 2100 brick oven that almost exactly matched the original in area, meant that it could be installed and commissioned in a very short time frame and because it was new and food-safe, could be used safely for baking demonstrations. The oven was built off an 80mm thick insulation slab and the hearth comprises 60mm thick bakery tiles giving enough mass for it to hold heat for extended baking. 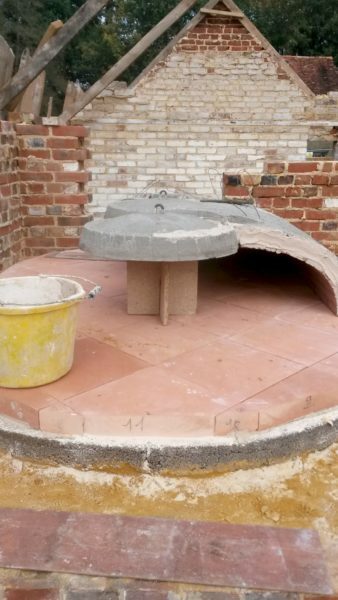 The dome construction is unusual in that in order to get the low height required for baking, it is hung from external steel frames. 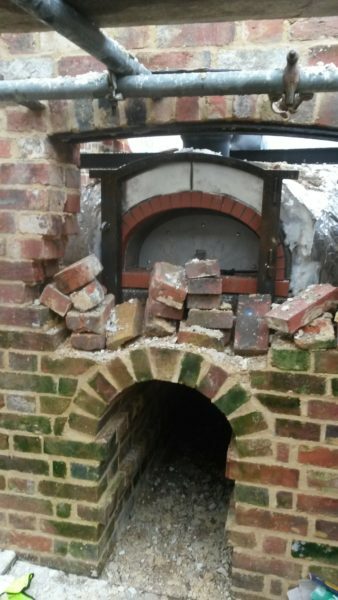 Interestingly, the original brick oven had steel rods that hung from the rafters with exactly the same function. We finally started work at the end of September 2017 and had it all installed a week later. 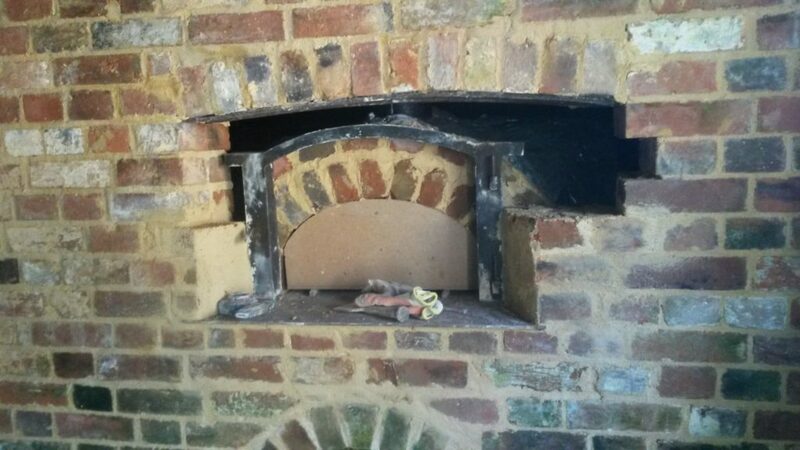 We are now waiting for the building work to be finished before returning to commission the oven ready for baking.